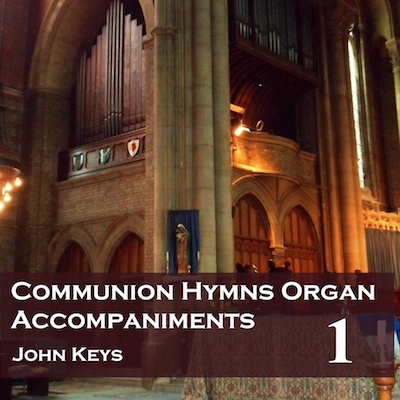 The Communion Hymn albums add a wide range of hymns for communion and mass to our existing sets. There are three CDs, each with 34 or 35 tracks on - either hymns we haven’t recorded before or with different tunes. Alternatively you can download whole albums at reduced price. There are no voices on these recordings, just a playover and the accompaniment. Any or all of the tracks for these albums can also be download from Amazon and iTunes, or all the albums together can be downloaded directly from us. To download all the albums from us, use the Buy Now button here. For individual tracks or the whole album from Amazon/iTunes see the Hymns included section below.